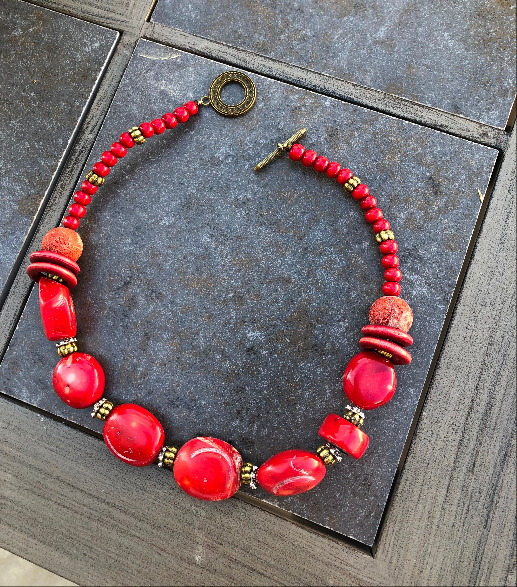 Simple elegant coral necklace with accents of silver tone and brass separators to give it depth. 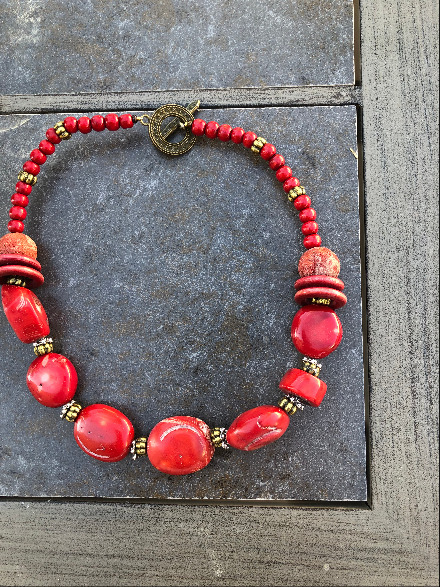 The coral beads are various sizes and shapes resulting in a beautiful understated design statement. 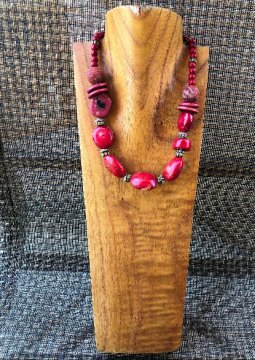 The smaller wood beads keep the necklace light and easy to wear. 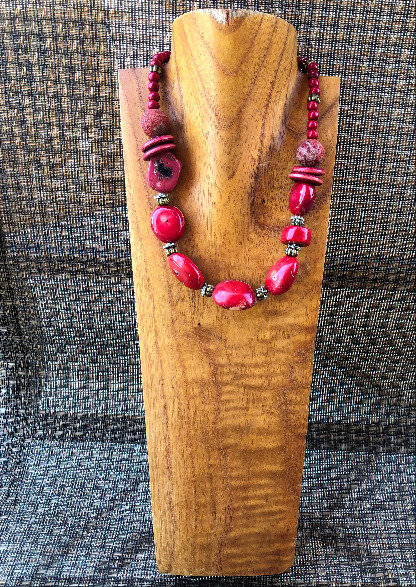 20" in length. Only one.